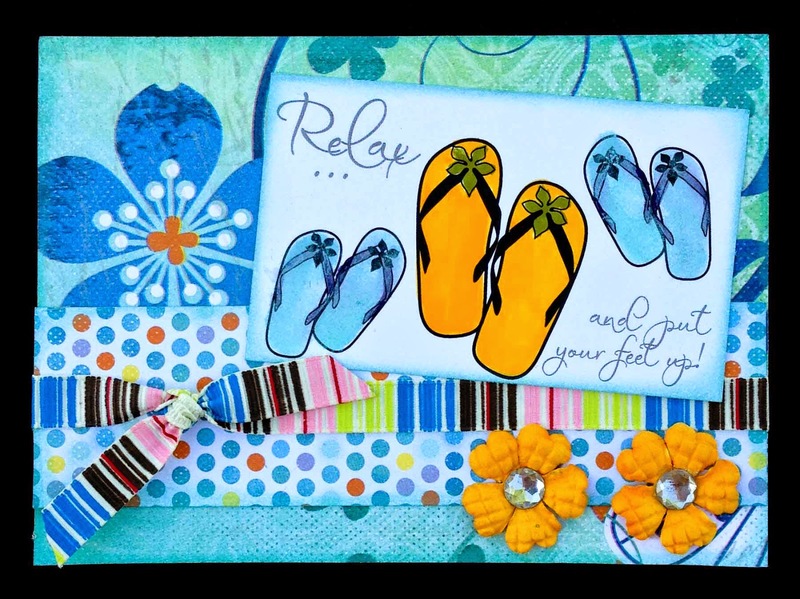 Blog Quick Quotes: Relax with Calypso and Jen! Relax with Calypso and Jen! Happy Tuesday to you, Jen here today to host the blog for you. How about some Spring inspiration! I created a card using papers from the Calypso paperline. I inked the edges of my papers with Caribbean Blue PowderPuff Chalking Ink and layered them onto my card base. I also added a striped ribbon across the front of the card. I added a sentiment from the Travel Quote Cards pack. I then used markers to color in the yellow flip flops. I did not have a blue marker to match my papers, so I dipped a paint brush in water, then added color to the brush using the Caribbean Blue PowderPuff Chalking Ink. I then painted the two blue flip flops with the chalk ink. To finish the card, I added two yellow flowers and gemstones in the bottom corner. Thanks for stopping on over today! 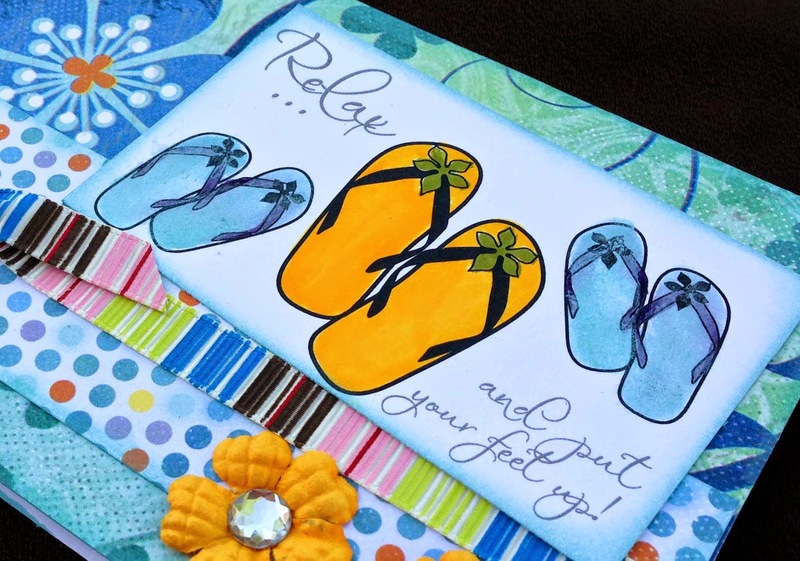 What a fun card, makes me want to go barefoot! Super fun card Jen! I'm loving the flip flops!